Lunch with a view. 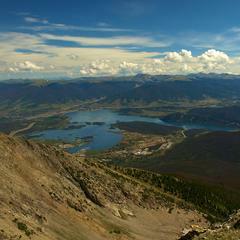 Lake Dillon set among the mountains of Summit County. Home to a handful of major ski resorts within its boundaries, Summit County is most widely known as a popular winter destination. But with biking, kayaking and hiking options on the summer menu, June through September might tie for the best season to visit. The collection of hiking trails here are among the finest in Colorado, with two of the three major mountain spines that converge in the area seeing relatively little traffic due to a dearth of the state’s popular 14,000-foot peak hikes. 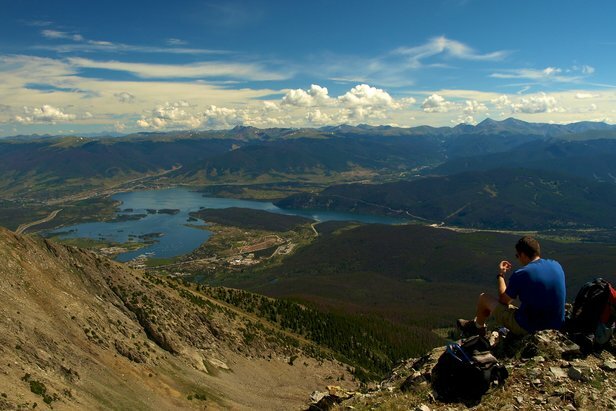 Parts of the Gore, Tenmile and Front Ranges collide in Summit County, providing classic panoramic views for the towns of Breckenridge, Dillon, Frisco, Keystone and Silverthorne. Among the easier trails in the area is Mohawk Lakes, a 6.6-mile route beginning 2.5 miles south of downtown Breckenridge at the end of Spruce Creek Road. It ascends 1,700 feet past a picturesque waterfall and several mining structures dating back to the late 19th century, reaching Lower Mohawk Lake just shy of 3 miles from the trailhead. A short hike further up the mountain brings you to Upper Mohawk Lake, which sits in a bowl due east of Pacific Peak and has sweeping views of the valley below. Upper Cataract Lake, an 11-mile roundtrip trek to an equally beautiful high-mountain pond, is slightly more difficult. Starting at the Surprise Lake trailhead 25 miles north of Silverthorne, a steady climb ensues, passing Surprise Lake on the left and catching a calendar-worthy glimpse of Cat Lake straight ahead before veering left and reaching Upper Cataract. The view is mesmerizing, with 13,432-foot Eagles Nest Peak—named after the surrounding wilderness area—reflecting off the calm water. The view is mesmerizing, with 13,432-foot Eagles Nest Peak—named after the surrounding wilderness area—reflecting off the calm water. Hikes with these stunning rewards are not without risks, however, with afternoon thunderstorms, warm mountain air and steep trails to consider. A trail that emphasizes this last point more than most is Peak 1, located in the Tenmile Range near Frisco. Despite reaching only 12,805 feet in elevation, the hike matches the intensity of its taller neighbors with a four-mile ascent up lung-busting vertical inclines. The imposing peak provides sky-scraping views of Summit County without the crowds that usually accumulate elsewhere in the region. 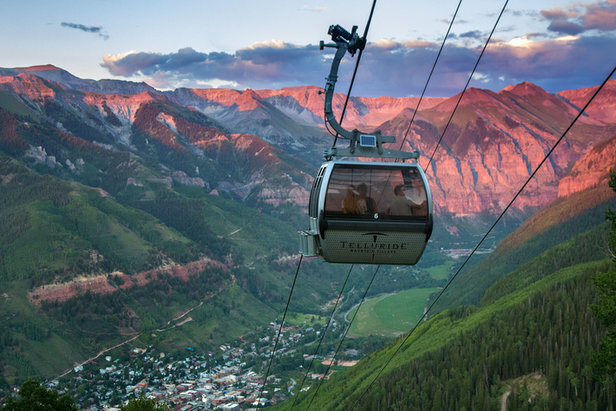 To the north is Buffalo Mountain and the Gore Range; to the east, sprawling Lake Dillon; and to the southwest, the green, treeless summertime slopes of Copper Mountain. 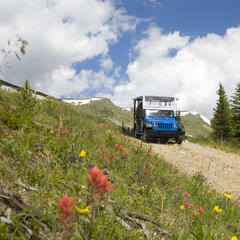 Taking a Jeep Tour through Summit County is a great way to see the scenery. While skipping the crowds can be a peaceful option, Summit County’s biggest draws are the three 14ers that lie within its boundaries—Grays, Torreys and Quandary. The first two—which are within a few feet in elevation of one another at roughly 14,270 feet and rank No. 9 and 11 in height, respectively—are often completed together on an eight-mile loop that drops 600 feet between them. The trailhead begins near the I-70 Bakerville exit on the east side of Eisenhower Tunnel and up Stevens Gulch Road three miles (if snow is present, the final three miles are impassable, and a high clearance vehicle is advised even when the way is clear). If the agenda calls for hiking only one of the two, Grays is the better option simply for the view of Torreys, the more imposing peak to look at with a cone-shaped summit and more defined features. Regardless, both share impressive big-sky views with the rest of the Front Range to the east and the Continental Divide to the west. Quandaryis a more solitary option that packs an equally strong punch with 3,500 feet of elevation gain across three-plus quad-burning miles one way. 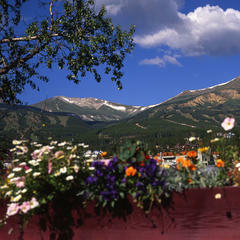 Hikers begin at the trailhead located 8 miles south of downtown Breckenridge. An exhausting final ascent is worth every calorie burned, with layers of jagged peaks jumping out in all directions. An exhausting final ascent is worth every calorie burned, with layers of jagged peaks jumping out in all directions. The challenge of a 14er need not require a line of day-trippers, however. Avoid the logjam by packing gloves, a winter hat, some extra layers and a thermos of coffee or tea, and set out well before sunrise. A departure as early as 2 a.m. will get the average hiker to the top in time for dawn’s climactic moment. Instead of sharing the late-morning view with hundreds of other day-trippers, you’ll have the mountaintop to yourself along with a piercing orange sunrise that slowly illuminates peak after peak, casting layers of sawtooth shadows to the west that slowly disappear as the sunlight creeps upward. 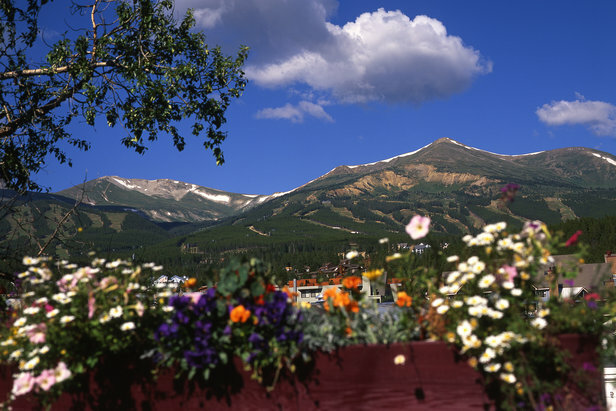 Flowers provide a splash of color during the summertime in Summit County. 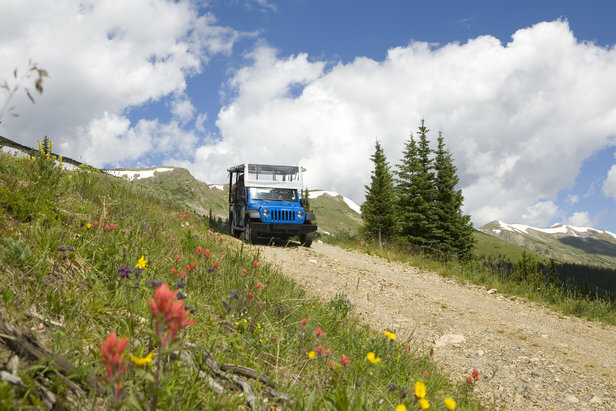 Located one hour from Denver, Summit County is a high-altitude outdoor paradise, and with that often comes the weekend crowds from the low-country. But with a diversity of trails, three distinct mountain ranges and 360-degree views, there's always a trail and a town close by to suit your taste.